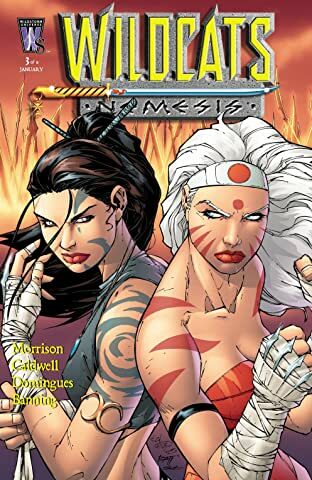 Zealot and her Coda sisters are the elite warrior-class on their homeworld of Khera, feared throughout the galaxy. 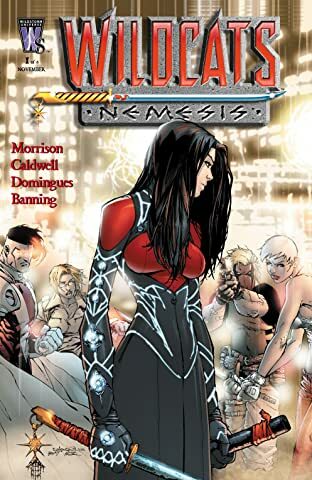 A single name, however, strikes fear and hatred into their hearts: Nemesis! 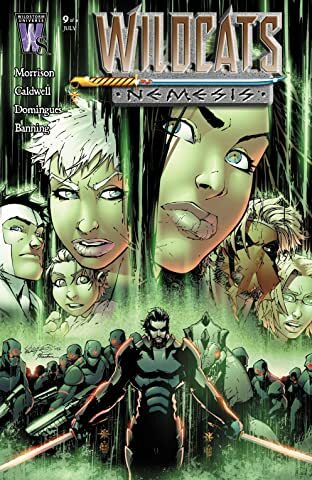 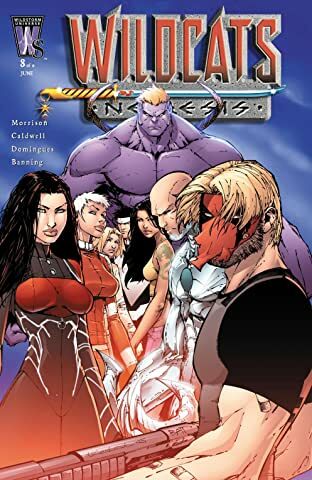 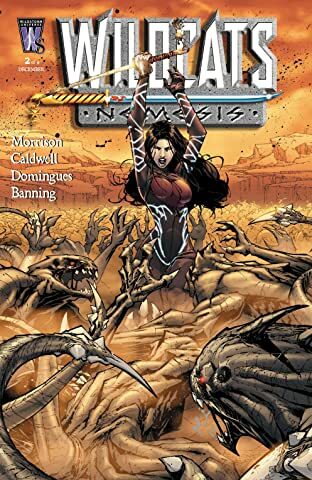 Framed for the betrayal and slaughter of the Kheran military forces on Earth at the dawn of mankind, rogue warrior Charis Adrastea embarks on an epic quest to avenge the massacre, uncovering a conspiracy that threatens the entire universe. 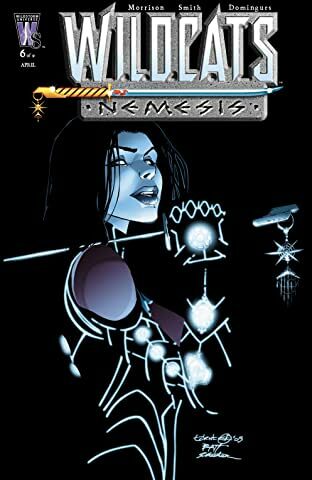 Hunted by friend and foe alike, she takes the name "Nemesis" ? 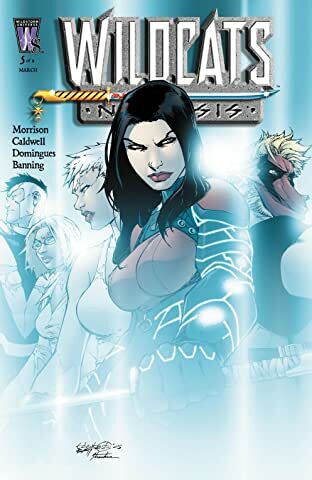 from the Greek goddess of vengeance, whose myth she inspires. 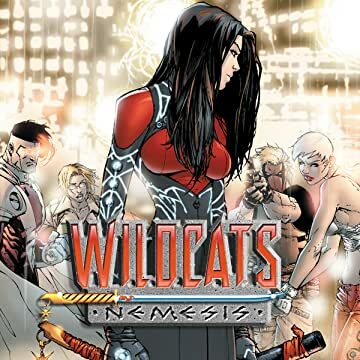 Now, as her blood-soaked quest nears its end, only the Wildcats can stop her! 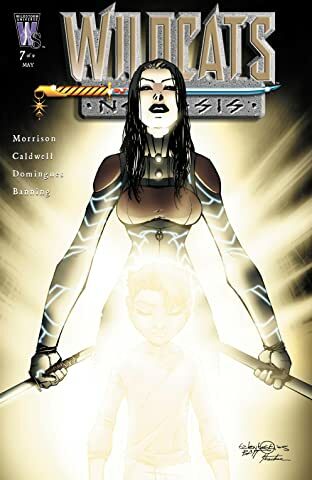 This miniseries plunges readers into the midst of the one-woman war Nemesis has been fighting for millennia. 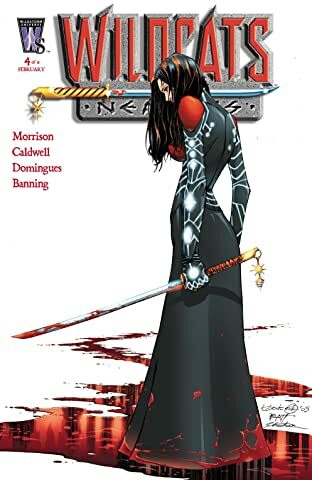 Each issue features a present-day sequence with art by Caldwell as she nears her quest's end, and a flashback with art by Domingues that reveals her origins and follows her vendetta as it spans human history!